Today’s Radical Remedies topic is perhaps the most interesting so far. With increasing legality of medical marijuana and the increasing flow of positive evidence of its health benefits, it is no surprise that renowned university research centers have undertaken studies of magic mushrooms. A study performed by John Hopkins University has found that low doses of the active ingredient in magic mushrooms, called psilocybin, had an antiaging effect on “openness”. Openness relates to the ability to see and appreciate beauty, to imagine, to be aware of our own and other people’s feelings, and to be curious and creative. Normally these traits attenuate as we age, as we become more rigid. Magic mushrooms have been found to reverse this process with long lasting effects, on average up to a year or longer. Research volunteers have reported increased feelings of interconnectedness to all people and things, feeling of peace and joy, a sense of sacredness, and of stepping outside of “normal time and space”. Psilocybin is a hallucinogenic substance capable of increasing visual and auditory acuity, and causes visual hallucinations such as vivid colors or “breathing surfaces”, auditory hallucinations in the form of sounds being visualized as passing colors, and profound “mystic” experiences, being defined as a “sense of interconnectedness with all people and things accompanied by a sense of sacredness and reverence”. 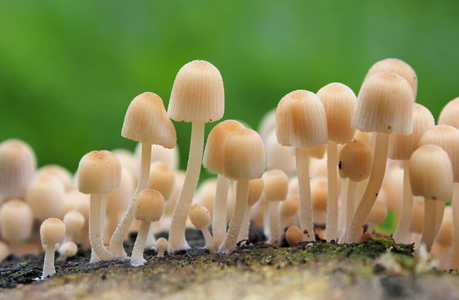 Other important studies show that psilocybin at low doses is also very effective for OCD, PTSD, depression and anxiety disorders, and even the growth of new brain cells. A few cautionary notes: a small dose of psilocybin usually means 1 to 2 grams of dried mushrooms, although this depends on the species. Anything above 2 grams is considered a high dose and can cause profound experiences leading to anxiety, fear and panic, which may even cause a heart attack. Furthermore, magic mushroom experiences are highly influenced by our surroundings and mood. If they are negative, the experience can be very negative, and vice versa. Finally, although the sale of mushroom kits is legal in Canada, the growth of mushroom spores and the possession of psilocybin still have an illegal status. Perhaps these promising studies will open the eyes of politicians. Categories: Radical Remedies, by Dr. Karol, Stress Relief | Tags: magic mushooms, mental health, mushrooms, relationships, stress relief | Permalink.